We are here to help make your stay at Loon Lake Motel pleasant and relaxing. Feel free to call (509) 233-2916 or email frontdesk@loonlakeinn.com and we will be happy to answer questions and assist with your traveling needs. After 7:00 pm, your reservation may be cancelled if arrangements have not been made for a later check-in. If you will be arriving late, please notify us and we will be happy to accommodate your arrival time. Dogs are permitted in “pet designated” rooms only. Please call us at (509)233-2916 to make arrangements if you are traveling with your dog. A fee of $10.00* per dog per night will be applied to bill upon check-in. Because of allergy concerns cats are not permitted to stay in rooms. There will be a $150.00 cleaning fee for any unregistered pets brought into your room. Pets may not be left unattended in rooms at any time. Please note there is a 2 night minimum stay for holiday weekends. There is also a 2 night minimum for all weekends in July and August. A valid credit card is required to reserve a room and must be presented upon arrival. Any cancellation must be made at least 14 days prior to arrival. A $20 cancellation fee will be charged against all cancelled reservations. 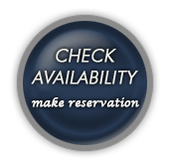 For cancellations made within 14 days prior to arrival, you may be charged up to the full amount of your reservation if we are unable to re-rent the room. Multiple room reservations (3 or more rooms) require a 25% deposit of the total amount. A 30-day cancellation notification is required. A $50 cancellation fee will be charged. For cancellations made within 30 days prior to arrival, the 25% deposit is non-refundable and you may be charged up to the full amount of your reservation if we are unable to re-rent the rooms. Room prices are based on 2 adults. An additional adult may be added for $10.00/ night. There is an extra charge for children of $5.00/night. Please advise us of all occupants. Please notify the front desk if you are expecting visitors. No visitors are allowed on the premises between 9:00pm and 8:00am. NO EXCEPTIONS. If we discover any unauthorized visitors or undeclared occupants in your motel room, we will ask you to leave the premises immediately and there will be no refunds. Our visitor policy is designed to provide a safe and quiet atmosphere for all of our guests. To insure a restful and comfortable stay for all our guests please respect quiet hours between 9:00pm and 7:00am. Please note there is a 2 night minimum stay for holiday weekends and all weekends in July and August. This property is privately owned and operated and management reserves the right to refuse service to anyone and will not be responsible for accidents or injury to guests or for the loss of valuables. All rooms as well as all areas of the main house are non-smoking. a $250.00 cleaning fee will be charged for any smoke odor of any kind, or other evidence of smoking in the rooms. Please note that it is ILLEGAL to smoke marijuana anywhere on the premises. Units must be left reasonably clean, with the furniture where you found it. A minimum $50 cleaning fee will be assessed for any situation that warrants extra cleaning beyond normal expectations. There will be a $50.00 fee charged for any lost keys. Roll away beds can be obtained for $12.00 per item, per stay. You are responsible for any damages to property or belongings of Loon Lake Motel incurred by your party. You will be charged for damage caused by pets, children, or negligence. You may not keep or clean fish/ game in any room.